Univers Running is the specialist in running and trails for all enthusiasts searching for quality equipment: running shoes, clothing, and accessories among the from among the best brands in running and trail. 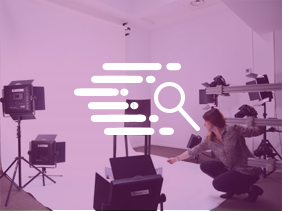 With over 2,000 references a year, Univers Running has decided to invest in an automated PackshotSpin photo solution for the shooting of its products. Univers Running uses the PackshotSpin studio to create its visuals in still photos or 360° animations. They feed its online showcase. Guillaume Dupont, web editor at Univers Running, explains the advantages: “We use it essentially for creating the visuals for our shoes that we sell on our site. The multi-angle photos and 360° animations in HTLM5 are then directly integrated into our product pages. It’s a real time saver! Our procedure for the product shootings is much more fluid and fast. Not to mention the hours of editing that we can finally do without.” Thanks to the integrated touch-up function of the software, the photo is easily cropped, reframed, and edited in a single click. 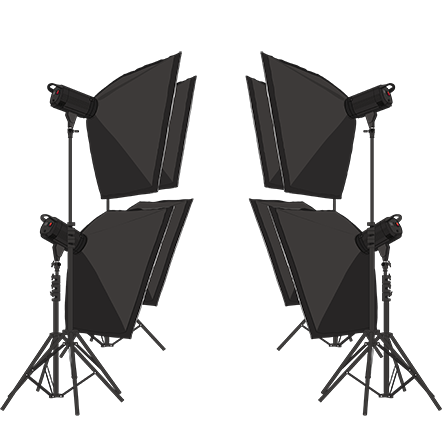 The PackshotSpin is the ideal solution for photographing products from multiple angles. 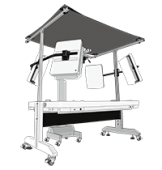 The rotating plate synchronized with the software makes possible a significant fluidity of workflow. The versatility of the automated photo studio is a genuine advantage for Guillaume Dupont: “PackshotSpin offers a quick, ergonomic, and effective solution, whether it is for still photos on a white background or for 360° animations”. With a shoot per week, the acquisition of the machine is quickly viable, underlines the web editor: “The PackshotSpin is easy to handle, we received training that was very clear and comprehensive! We have saved precious time in the creation of our e-commerce visuals”. Univers-running.com recently innovated by proposing the Shoefitr service, an application accessible on each product sheet, which enables its clients to find the equivalence of their usual size from one brand to another. No more sizing problems, even when buying online!